Four years ago, Katy Hosford was a football-mad teenager in Swansea just looking for an opportunity to play the game. "I used to play with my friends in school, in the yard or in the street," she says. "I had never been in a proper, structured football environment. "I was enjoying football but there was nothing around." Katy was told about a Premier League Kicks session run by Swansea City Community Trust at the nearby Baglan Boys and Girls Club. 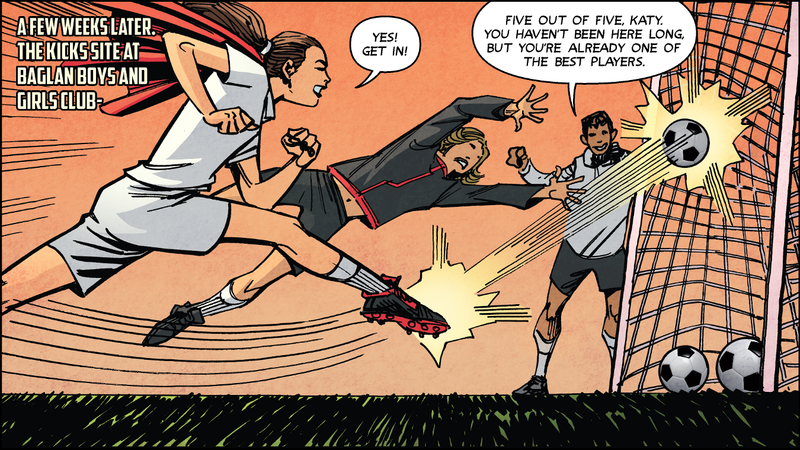 "When I heard about PL Kicks, I grasped at it straight away. It was what I was looking for. "At the time, I was quite quiet but as soon as we started to play football, that's when my personality came out. "Everybody was really welcoming and I started making new friends. "There was no pressure, you didn't turn up and feel like you have to perform. It was something that you would just go and enjoy." With a regular outlet to display her skills, Katy developed rapidly and only two years after joining PL Kicks she was spotted by Swans Ladies. "I have always supported Swansea and my father used to watch them and to think that I could be even considered to train with Swans Ladies was amazing." It was another opportunity that Katy seized. She signed for Swans Ladies when she was 16 and has gone on to become a first-team regular, scoring two goals to help her side win the Welsh Premier Women's League Cup final last year and also going on tour to the United States. 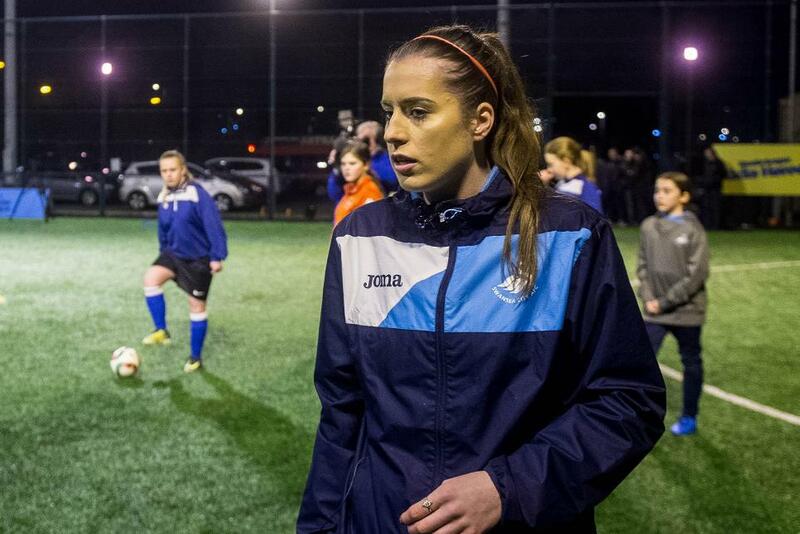 Although Katy is busy with Swans Ladies and a university course in criminology in Cardiff, the 19-year-old left-winger still makes time to go back to PL Kicks to coach a new generation of players coming through. "It's hard to describe in words what PL Kicks means to me. If it wasn't for Kicks, I wouldn't be where I am today. It made me the player I am. "If there wasn't that opportunity I don't know whether I would have carried on to pursue football; I probably would have gone into something else. "I want to do the best I can to help other people as I feel it will benefit them massively. "To be influencing all the younger girls means a lot because I was in that position once, I know what it feels like." 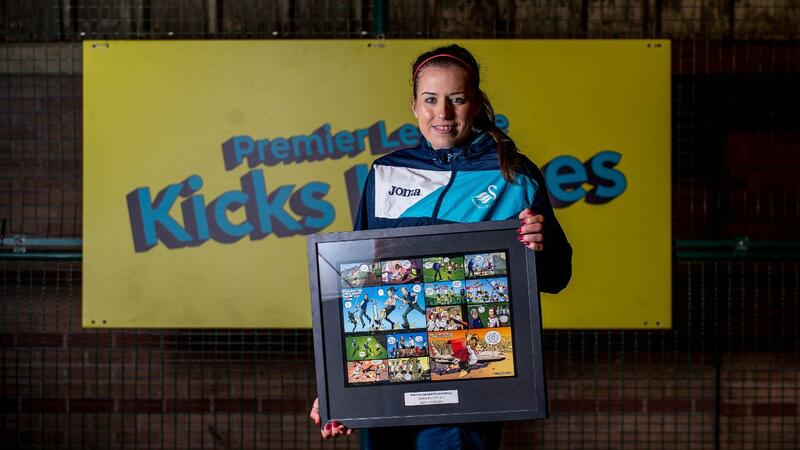 To mark her progress through PL Kicks, Katy was named by Swansea City as their PL Kicks Hero, celebrating 10 years of the project. She received a comic strip designed by Marvel and DC Comics artist John McCrea from Swansea goalkeeper Mark Birighitti and club ambassador Lee Trundle. "Looking back to when I first started and how far I have come, I never thought I would be given that treatment. I am so grateful. "With how much I have achieved, it gives me confidence, and I want to go on and do more. I want people to do exactly what I have done because I know it is achievable."